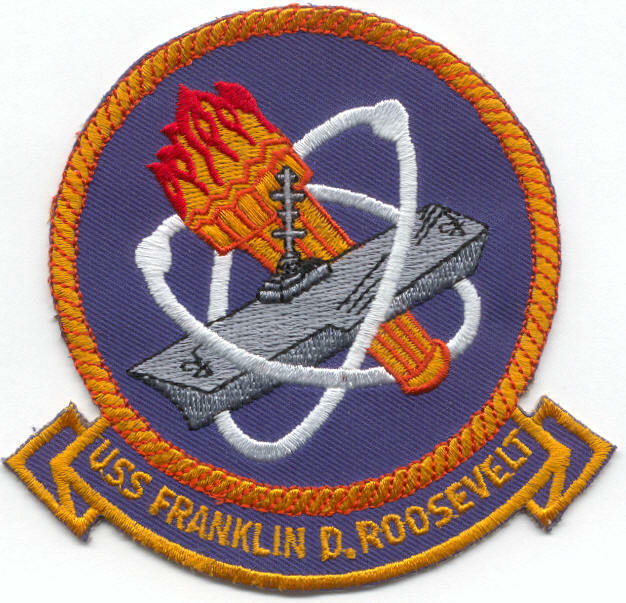 THIS IS THE HOMEPAGE WEBSITE OF USS FDR CV 42 REUNION, INC.
1. Registration for the Midway Class i.e. "Three Sisters" Reunion is due no later than April 8. If you register after that, you may not be able to participate in your choice of events, tours etc. INCLUDING THE BANQUET. The committee has to turn in a head count for the banquet and the number of late registrations and "walk ins" will be limited. Strongly recommend you go ahead and register with AFR. As you may recall, the President of the Coral Sea Veterans Association designed a jacket, hat and patch to commemorate this once in a lifetime event. Photos of this package appear on our website (http://www.ussfdrcv42reunion.com/3-sisters-merchandise.html ) at the bottom of the page. SHipmate Bill Solt ordered the jacket but was disappointed in that there are no significant spaces in our ship's name. So heads up! If you are interested in the jacket; please check the photo of the embroidery and take note of of how "FranklinD.Roosevelt" is not spaced. This is not to discourage you from purchasing but some find they don't care for the way it appears. Renewals are running behind this year and it may be partly my fault for dropping the ball with the Winter 2018 Reunion Reader email. I recently sent it out - I thought for the second time. But when I went back and checked my sent emails, I had neglected to fill in the addresses in the BCC area. So I sent it to myself and no one else! Sorry about that. If you are not sure when your due date is, you can check with Steve Dukes (treasurer@ussfdrcv42reunion.com) and he can tell you by checking the master list. 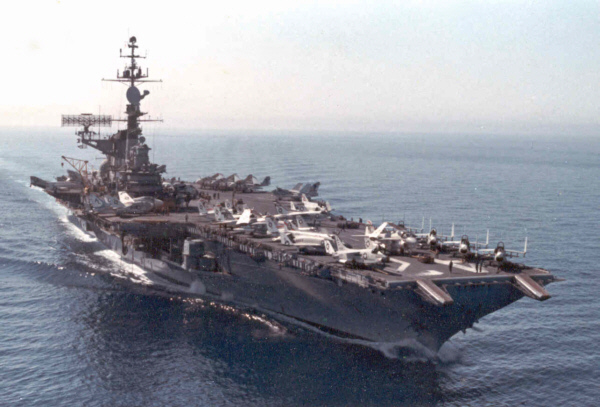 We have a new shipmate, Luis Avila, who wants to attend the Midway Class Reunion but needs to share a room. If you are willing to share your room, let me know and I'll pass along his phone number. The FDR Memorial at Mayport Naval Station has some serious problems. Mostly, the plaques that came off the ship that commemorates Commanding Officers and Embarked Flags has rusted and deteriorated pretty bad. Brian Ryan and I will be travelling to Mayport tomorrow to meet with the Command's representatives and the folks who fabricated and installed the original memorial. My hope is we will come away with a plan of action to get the memorial back up to 4.0 condition and establish an annual maintenance program with the monument company to keep it is good condition forever. The funds are already in place, so that should not be an issue. Keep in touch and let us know how we can do things better. All of the FDR's Flag Officiers are now listed on FDR Stats and History tab at the top. Bob served in VA-215 in 1970; does anyone rember him? New Orleans T-shirts for sale; don't miss out! Two new "tabs" at the top of the page. "The Legal Stuff" which has Minutes, By-Laws, and 2017 Treasurer's Report. "Computer Corner" has useful information many may find helpful. I've also rearranged the Reunion Photos by year which makes them easier to navigate. Two of our shipmates have been kind enough to share stories of their adventures while aboard Rosie. "What a wonderful week at the FDR Reunion in New Orleans! Made new friends, saw many old friends, did some neat stuff, saw some great sights. Shipmates share a bond that is like few others. A ship's crew works, fights, plays and lives together 24X7. You win as a crew or your ship goes down!